Transport MEPs backed strengthened rail passengers’ rights, such as higher compensation rates for delays and better assistance to persons with reduced mobility. EU rail passenger rights rules have been in force since 2009. Today’s vote is an important step towards improving and updating those rights. 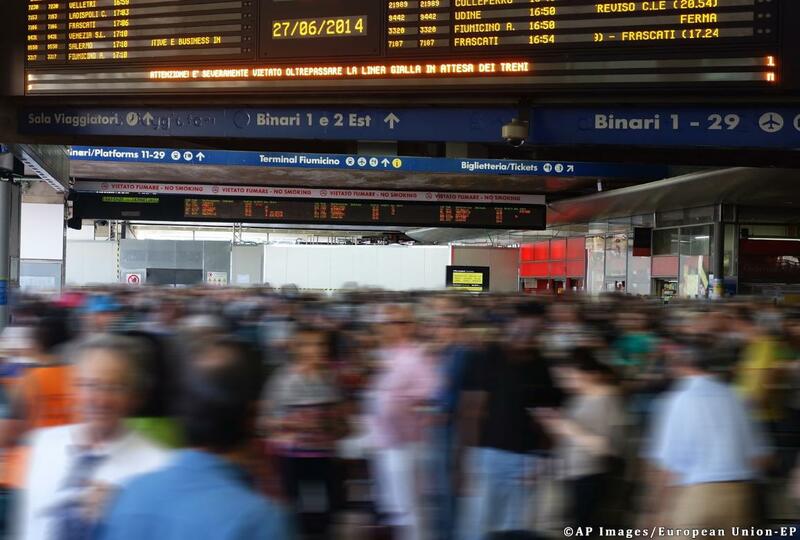 MEPs backed an increase in compensation, meaning that passengers can request equivalent to 50 percent of the ticket price for delays of between 60 and 90 minutes, in addition to passengers’ rights for continuation of the journey or rerouting. Passengers would be entitled to 75 percent of the ticket price for a delay of 91 minutes to 120 minutes and 100 percent of the ticket price for delays of more than 121 minutes. Current rules stipulate that passengers may request compensation equivalent to 25 percent of the ticket price for delays of 60 to 119 minutes and 50 percent for a delay of 120 minutes or more. According to proposed changes, more information on passenger rights will be available at stations and in trains. The information will also be printed on the ticket to make passengers aware of their rights and allow them to claim their rights before, during and after the trip. MEPs also clarified rules to ensure assistance free of charge to persons with reduced mobility and persons with disabilities at stations. They also clarified that rail operators and station managers are responsible for fully compensating passengers in a timely manner if they have caused loss of or damage to mobility equipment, or lost or injured animals trained to assist disabled people. To help in take-up of cycling, new and refurbished trains must in the future have a well-indicated space to transport assembled bicycles, MEPs say. They also backed clearer deadlines and procedures for complaints handling. To ensure that EU rail passenger rights rules are applied earlier and in all countries, Transport Committee MEPs also backed the proposed earlier phase-out of temporary exemptions used by a number of member states in applying certain parts of the 2009 passenger rights rules for domestic rail services. So far, only 5 member states (Belgium, Denmark, Italy, the Netherlands and Slovenia) fully apply the EU rail passenger rights rules. Exemptions for domestic rail services may last no longer than 1 year after the entry into force of the amended rules, MEPs say. The draft rules will now need to be voted on by the full house of the European Parliament.